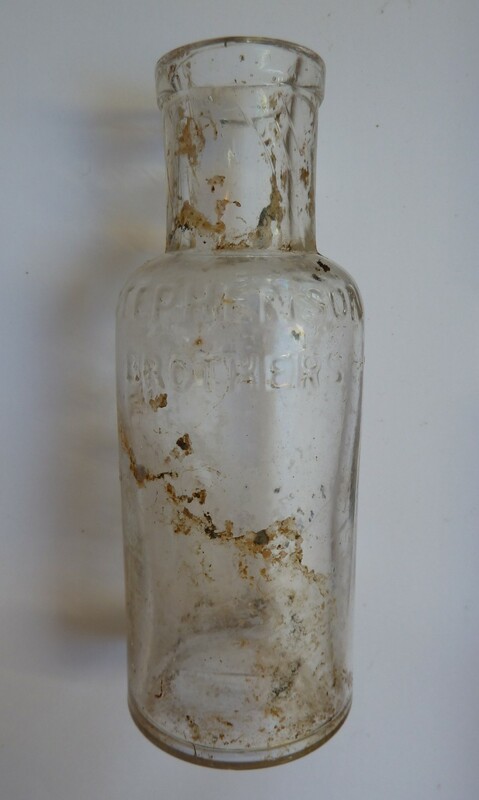 ‘Stephenson Brothers, Bradford/ Furniture Cream’ embossed on shoulder of this clear-glass bottle. In 1908, when this bottle was discarded, glass was beginning to supersede stoneware, although the Stephenson Brothers still sold their famous product in the traditional cream-coloured stoneware bottles. 13 cm tall. There was also a larger bottle of the same design. Fascinating. I have one found kin tip in Neston, 30 years ago!